Having started operations in 1991, Saj Ceramics Limited is one of the largest manufacturers of ceramic wall and floor tiles in East Africa. Based in Kenya, the company has established a reputation for providing a top quality product and excellent service. We pride ourselves on our fast turnaround time and productive business relationships. Always committed to producing the best products, Saj Ceramics has the widest range of locally manufactured & imported tiles in the region, striving on quality, value, continuity & reliability, gaining its recognition as a premier and reliable brand amongst its customers. Owing to rising demand in the market, Saj Ceramics continually looks to be at the forefront of innovation, technology and sustainability, ensuring our long-term commitment to our customers and the communities we work in. The aim of understanding our customers and the market leads to constant development in our product portfolio. In educating our customers, we will ensure the user has a wide knowledge of the technology, standards and most of all the advantages of using our products. Visit our website at www.sajceramics.com and understand what makes us your most valued business partner. Today there is a great awareness of the importance and necessity of guaranteeing future generations’ needs without compromising or sacrificing the ability to satisfy the needs of the present generation. 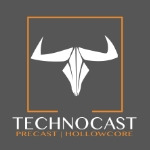 Technocast division has been formed to usher in a new way of industrialized construction in the region that provides pre-cast elements for extremely durable, affordable, adaptable, livable and environmentally sustainable buildings that have a high consistent quality & ensure efficient construction. With a fresh approach to everything we do, a new commitment to our customers, Saj Ceramics are happy to be providing even further benefits in the industry producing pre-cast, pre-stressed hollowcore elements. Our facilities & experienced personnel are amongst the best in the industry ensuring quality satisfaction and unmatched building advances. Technocast division of Saj Ceramics will utilize the latest Spanish technology to manufacture precast, prestressed concrete hollow core slabs for the Kenyan market. We satisfy the demand for high quality, reliable products that are available within short lead times in an industry where the demand for building products is almost insatiable and completion times are short.